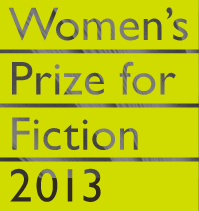 The longlist for the Women’s Prize for Fiction (the former Orange Prize for Fiction), awarded to “celebrate excellence, originality and accessibility in women’s writing from throughout the world,” has been announced. The list features literary big names such as Hilary Mantel (receiving her third major literary award nomination — with two wins so far — for Bringing Up the Bodies), Zadie Smith, Barbara Kingsolver and AM Homes, along with much talked about popular successes as Gillian Flynn, G. Willow Wilson, Maria Semple, and Sheila Heti. It was only last year that the award lost its major sponsor, Orange. And while the Prize board was inundated with offers for donations and sponsorship, it ultimately was decided that the award for 2013 would be privately (and anonymously) endowed.